We are almost at the three month mark of losing Janet. A lot of my grieving is for my boys. For my sweet Hudson, who just yesterday was sitting quietly in his room and when Bryan asked him what he was doing he said, "I'm just thinking about my G-Ma". I happened to run into a Godly, mentor friend on Monday who lost her mother when she was in her 20's and she said something to me that has stuck in my mind since then. ...and while that is so hard to hear, it is true. She was meant to be with Jesus in those moments. Something is strangely comforting about that. 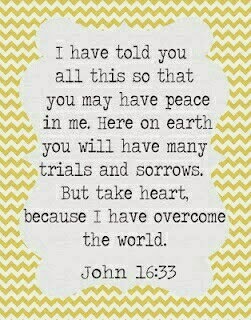 I am not sure I could have stomached that truth before recently, but it was something I needed to hear. We still have really hard days and really hard moments. Silly things make me cry. I miss her when I look into Rhett's sweet face and see his daddy through and through. But some days and some moments I see a glimpse of Joy that is coming. I have had several friends lose close loved ones very suddenly in the past few months. When I saw about a friend who lost her father just yesterday, I was overcome with sadness for her. I can only imagine what her heart must feel like. She has two little boys close in age to my boys and I hate it for her so much. I wish I could take that pain from her. Since I know I can't do that I will remember what was helpful for me and try to encourage. I wrote a post a few months ago on 10 ways to help someone who is grieving, because we all know someone who is grieving or are grieving ourselves. Maybe that was part of the purpose in this. Now instead of simply saying that I am praying, my whole body feels that pain again, I am truly empathetic and sympathetic. I know that pain. I want to help her, I want to make her life easier, but alone, I can't. And that is where Grace steps in again and again. 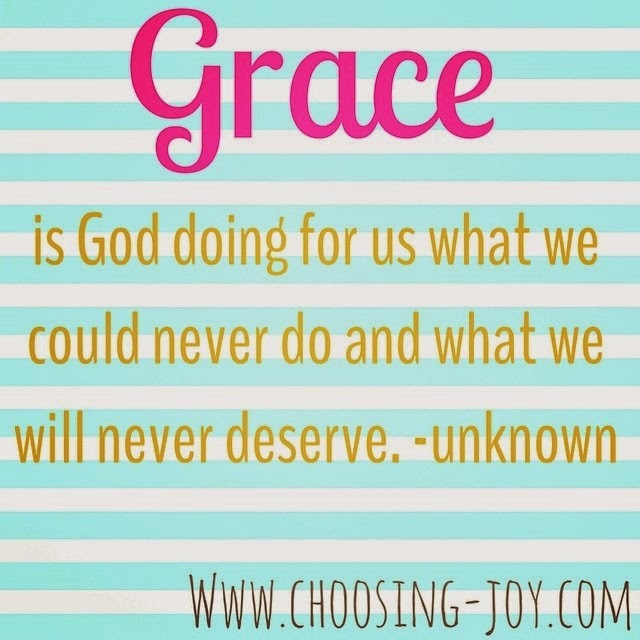 "Grace is God doing for us what we could never do and what we will never deserve." My heart is hurting for my friend this morning. My heart is hurting for my family always. Every day is a new day and I am so thankful to be covered in the Lord's Grace. People are hurting everywhere. I really never fully understood that until recently. While I am having a sad morning, I'm listening to praise & worship music and hoping that some fresh SPRING air and a walk with a sweet friend will help lift my spirits. Wishing you all a Happy First day of Spring and a day full of Grace! Jenna, praying for you guys today! 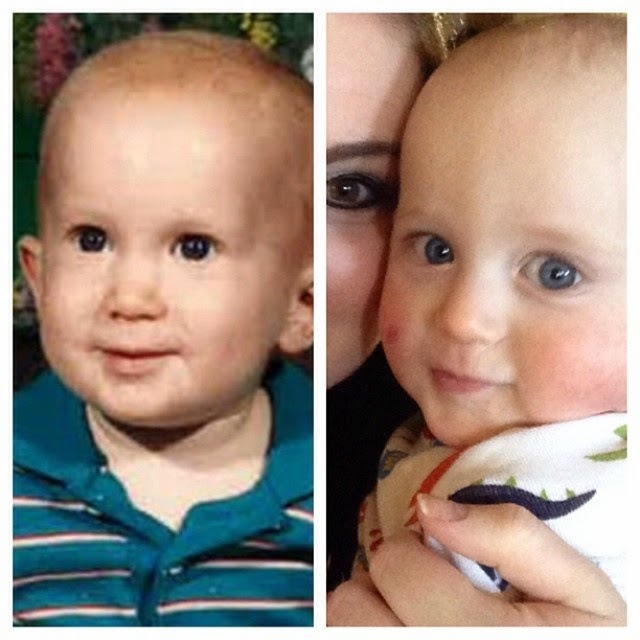 I think Rhett looks so much like Janet!